Performs 3D relighting with up to 4 individually controlled light sources. The Source input is usually an ambient or diffuse pass from a 3d renderer that shows the surface colors. The Normal vector input determines the surface direction at each pixel. The source and normals should be generated together by the 3d program so they match. Source: The current track. The 3d surface colors. Normals: Selectable. Contains the normal vectors matching the Source clip. Typically the red channel will have the X component of the normal, green will have Y, and blue will have Z, but you can adjust this mapping using the Normal Offset and Invert parameters on the second page. Mask: Optional. Used to interpolate between the original image and the result. Where the mask is black, no lighting is applied and the original Source image is visible. Scales the brightness of all lights together. Ambient Bright: Default: 0.2, Range: any. The amount of ambient light included in the entire frame. This allows parts of the source where no light is falling to be visible. Diffuse Bright: Default: 0.5, Range: 0.1 or greater. Scales the diffuse light from all light sources. Hilight Bright: Default: 0.8, Range: 0 or greater. Scales the brightness of all specular highlights. Adjusts the size of all specular highlights. Light1 Enable: Check-box, Default: on. Enables the first light source. Light1 Dir: X & Y, Default: screen upper left. The x and y position of the first light source. This parameter can be adjusted using the Light1 Dir Widget. Light1 Z: Default: 0.5, Range: any. The z position of the first light source. Diffuse Bright 1: Default: 0.5, Range: 0.1 or greater. Scales the diffuse brightness for Light 1 only. Hilight Bright 1: Default: 1, Range: 0 or greater. 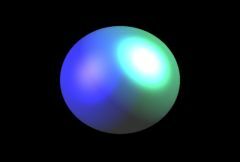 Scales the brightness of the specular highlights for Light 1 only. Hilight Size 1: Default: 1, Range: 0 or greater. Adjusts the size of the specular highlights for Light 1 only. Light1 Color: Default rgb: [1 1 1]. The color of the first light source. Light2 Enable: Check-box, Default: off. Enables the second light source. Light2 Dir: X & Y, Default: screen upper right. The x and y position of the second light source. This parameter can be adjusted using the Light2 Dir Widget. Light2 Z: Default: 0.5, Range: any. The z position of the second light source. Diffuse Bright 2: Default: 0.5, Range: 0.1 or greater. Scales the diffuse brightness for Light 2 only. Hilight Bright 2: Default: 1, Range: 0 or greater. Scales the brightness of the specular highlights for Light 2 only. Hilight Size 2: Default: 1, Range: 0 or greater. Adjusts the size of the specular highlights for Light 2 only. Light2 Color: Default rgb: [1 1 1]. The color of the second light source. Light3 Enable: Check-box, Default: off. Enables the third light source. Light3 Dir: X & Y, Default: screen lower left. The x and y position of the third light source. This parameter can be adjusted using the Light3 Dir Widget. Light3 Z: Default: 0.5, Range: any. The z position of the third light source. Diffuse Bright 3: Default: 0.5, Range: 0.1 or greater. Scales the diffuse brightness for Light 3 only. Hilight Bright 3: Default: 1, Range: 0 or greater. Scales the brightness of the specular highlights for Light 3 only. Hilight Size 3: Default: 1, Range: 0 or greater. Adjusts the size of the specular highlights for Light 3 only. Light3 Color: Default rgb: [1 1 1]. The color of the third light source. Light4 Enable: Check-box, Default: off. Enables the fourth light source. Light4 Dir: X & Y, Default: screen lower right. The x and y position of the fourth light source. This parameter can be adjusted using the Light4 Dir Widget. Light4 Z: Default: 0.5, Range: any. The z position of the fourth light source. Diffuse Bright 4: Default: 0.5, Range: 0.1 or greater. Scales the diffuse brightness for Light 4 only. Hilight Bright 4: Default: 1, Range: 0 or greater. Scales the brightness of the specular highlights for Light 4 only. Hilight Size 4: Default: 1, Range: 0 or greater. Adjusts the size of the specular highlights for Light 4 only. Light4 Color: Default rgb: [1 1 1]. The color of the fourth light source. Normal Offset: Default: -0.5, Range: any. Added to the values in the Normal input. Normal X <-: Popup menu, Default: Red . Determines which color channel is used for the horizontal component of the normal vectors. Normal Y <-: Popup menu, Default: Green . Determines which color channel is used for the vertical component of the normal vectors. Normal Z <-: Popup menu, Default: Blue . Determines which color channel is used for the depth component of the normal vectors. Invert X: Check-box, Default: off. If checked, inverts the horizontal compononent of the normal vectors. Invert Y: Check-box, Default: off. If checked, inverts the vertical compononent of the normal vectors. Invert Z: Check-box, Default: off. If checked, inverts the depth compononent of the normal vectors.